You seek vegan, protein-packed recipes WITHOUT SOY. That’s why we made these – the tofu-free meal plans to help you build muscle and get shredded! You want easy, delicious vegan meals that you (and your family!) will love. However, you also want to avoid soy, which soooo many vegan recipes have. Our Sculpted Vegan community has been crying out for meal plans that ditch soy, so we did what any athlete would…take action. accounted for macros and everything you need for a healthy, sculpt-ready diet. There are 8 sets of plans, each week ranging from 1500 cal days to 2200 cal days. 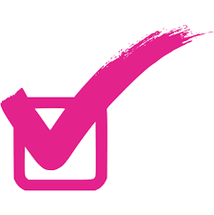 Calorie and macro counted, choose what plan’s best for your current fitness regimen. Bring the shopping list to the store – and simply follow along! Even if you rarely cook, these meals are shockingly easy-to-make. As in my 8 year old could make these – no problem. Really though. Swap around meals as you like, switch lunch and dinner. Or choose just one of the breakfast options for the week. Customize the cuisine to YOU. It goes beyond you. Even your family will approve of the food. Yes, these recipes are kid and spouse friendly, even for the carnivores! These aren’t any ole meal plans. This never-before-seen guide unleashes your true athlete a la non-soy style. That’s why we poured our blood, sweat, tears, scientific research, years of experience and a freaky amount of taste testing into these meal plans. It’s more than just “being healthy” and avoiding tempeh and edamame.  This is high-protein fuel for true athletes. After all, you don’t have hours and hours to spend trying to figure it out on your own. That’s why we did this for you. Why reinvent the wheel, Googling “soy-free recipes” and trying to pick foods at the grocery store, when an expert athlete and proven fitness icon has created the roadmap for you? GET MY SOY-FREE MEAL PLANS! You get a bonus that’s so good – I’m still shocked we’re throwing it in for $0! Our new meal plan is a proven kick off to get shredding. 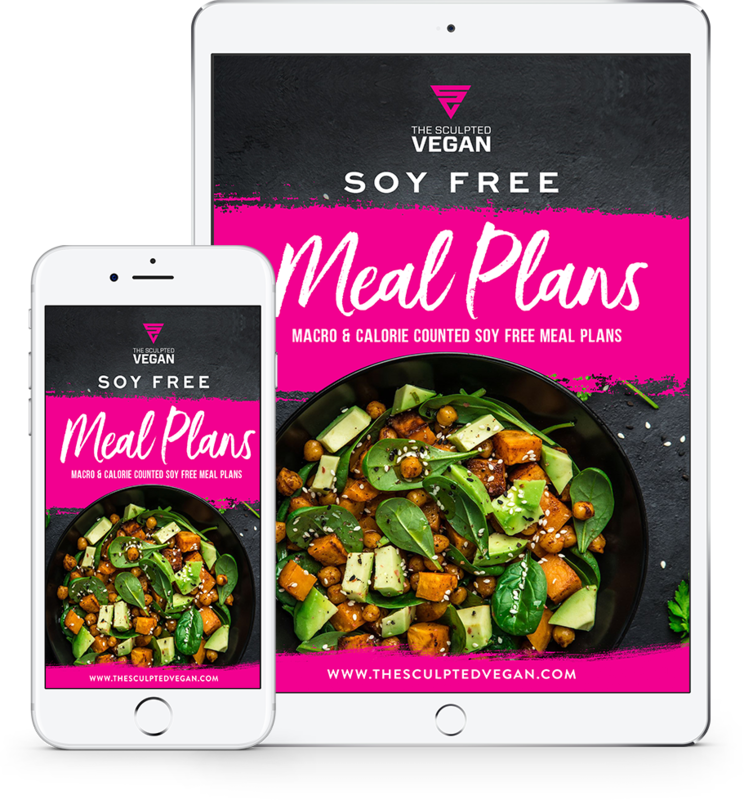 The ultimate way to maximize your soy free meal plan? Pair it with the right training. When our Sculpted Vegan members asked for soy free meal plans, we couldn’t leave it there. Nope. We saw the thigh fitness gap and had to create a robust, hard-hitting plan that’d maximize the macros in each meal. Whether you’re a mom trying to round up the kiddos, busy at work and/or stretched thin in general, more planning is the LAST thing you need. To get and/or maintain that sculpted, shredded body, start fist pumping knowing we’ve created the roadmap. All you have to do is say, “YES I’m ready to say yes to me” and sculpt soy-free – in the hands of Kim, resident fitness expert and shred-obsessor. GET YOUR SOY-FREE MEAL PLANS TODAY! Exactly What’s Included in the Vegan SOY FREE Meal Plans? Recipes that are ridiculously delicious and empower your body to sculpt muscle and shred, shred, shred! If you answer YES to any of the following, these meal plans are PERFECT for you. You want to avoid soy but are having trouble finding enough good recipes without it. You have other Sculpted Vegan programs – but want some new recipes to spice up your cooking. You’re looking for more meals that will be delicious for not just you, but you, your spouse and/or your family. Q: I’ve already enrolled in another Sculpted Vegan program or have other SV meal plans. Is this really any different? Please be honest. Q: I can't eat wheat or any products with gluten. Can I still follow this soy free Sculpted Vegan meal plan? Q: I'm lactose intolerant. Can I still get these soy-free meal plans? A: Yes. There are no dairy products in this program so easy peasy! A: The program was designed specifically for vegans but can be adapted for vegetarians and carnivores as well, as long as you’re able to customize your own meal plans based on which foods you eat. If you are vegan but your spouse or family is not, you can always adjust and add other ingredients to their meals – while keeping yours solely plant-based. 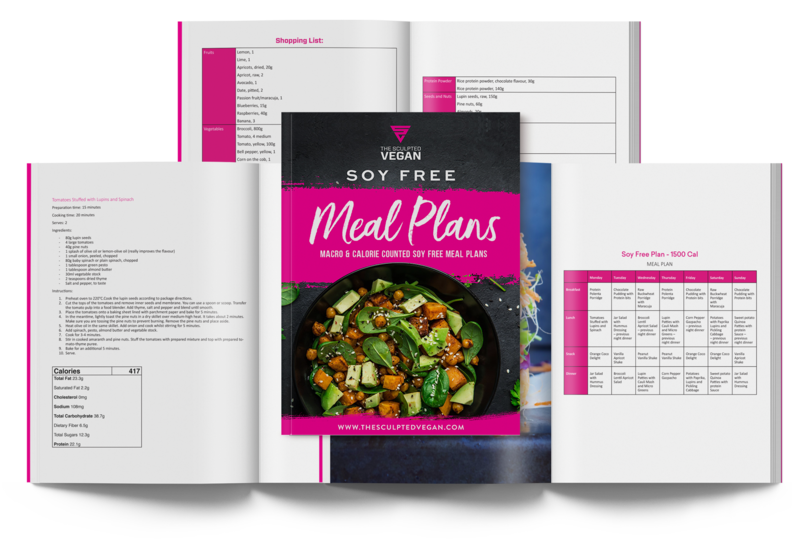 Q: How soon after I purchase will I receive the soy free meal plans and bonus training guide? A: As soon as you purchase you’ll get instant access right away. A Roadmap to Sculpt Muscle & GET SHREDDED Simultaneously.